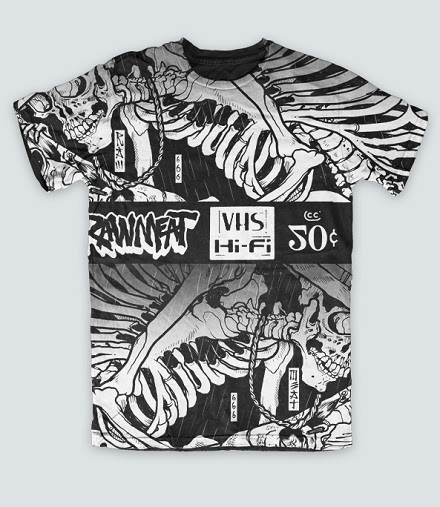 Raw Meat really expanded his catalog just a few days ago on Halloween, adding over a dozen new t shirts, sweatshirts, hoodies and prints to his store. 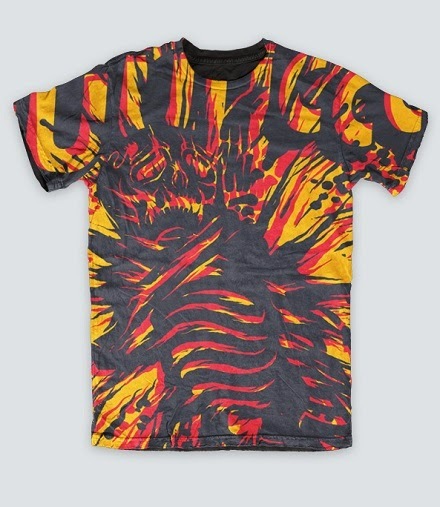 Everything looks astounding, but the pieces that thrill me the most are the all-over print t shirts. The colors and graphics are unreal! Full color or black and white, Doyle and Michael Shantz successfully demonstrate how far the boundaries of apparel printing can be pushed with mind-blowing results. 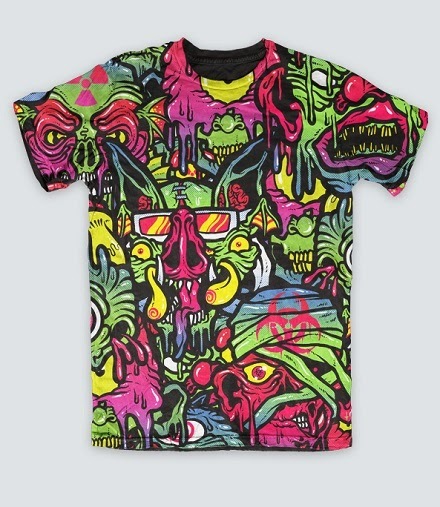 Peep the entire collection for yourself in the Raw Meat shop.